Cagayan de Oro, Iligan and Dumaguete cities need help so much. 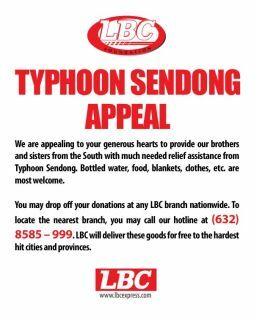 LBC Express Inc. asks the public to help and drop off their donations to any LBC branch nationwide. For more information you may visit LBC Facebook Fan Page here.